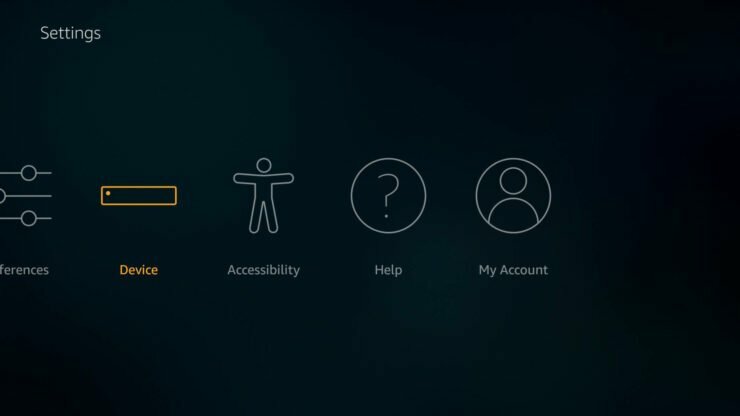 Amazon makes it very difficult to install unofficial apps on Fire TV and Stick. Understandably, this is mainly to protect their business. But it also protects consumers from malicious content. 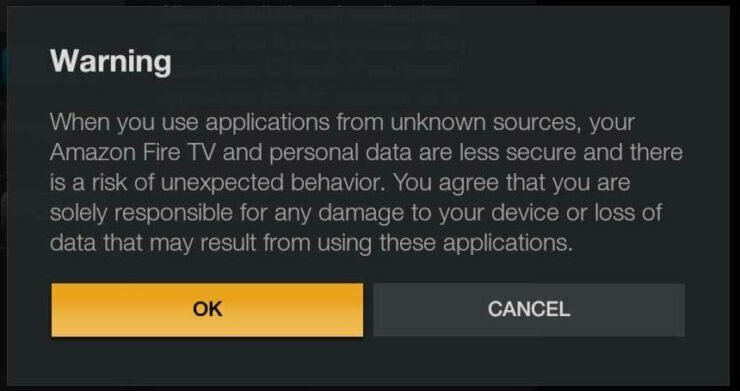 But sideloading unofficial apps or installing them from unknown sources can greatly enhance your AFTV experience and extend your Fire TV's applications. Previously, I compiled my list of best apps on Amazon Fire TV. The most famous one is Kodi for Fire TV. 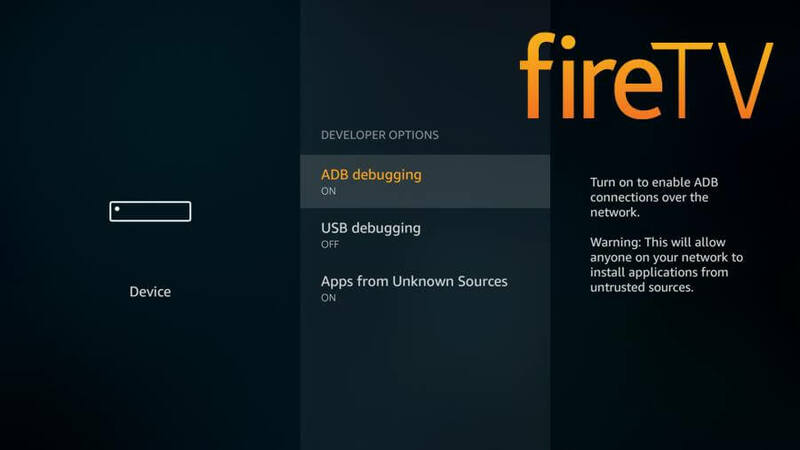 There are essentially two things you will have to do to unlock your Amazon Fire TV: Enable ADB debugging and Allow Apps from unknown sources. Both settings can be found under Settings->Device->Developer Options. For those that want detailed instructions, please read on. Doing these two things in itself does not void your warranty or increase the chances of breaking or bricking your device. So proceed without any fear. 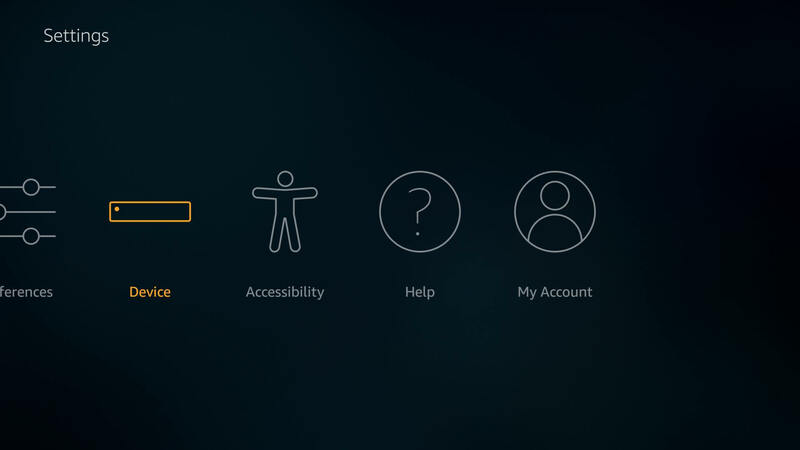 First, from Amazon Fire TV homescreen go to Settings->Device, as shown in the picture below. Under Device, scroll down, find and click Developer Options. Under “Developer Options” you will see two options: ADB Debugging and Apps from Unknown Sources. Both of these options are OFF by default. ADB Debugging is used to connect to Fire TV using ADB (Android Debug Bridge). 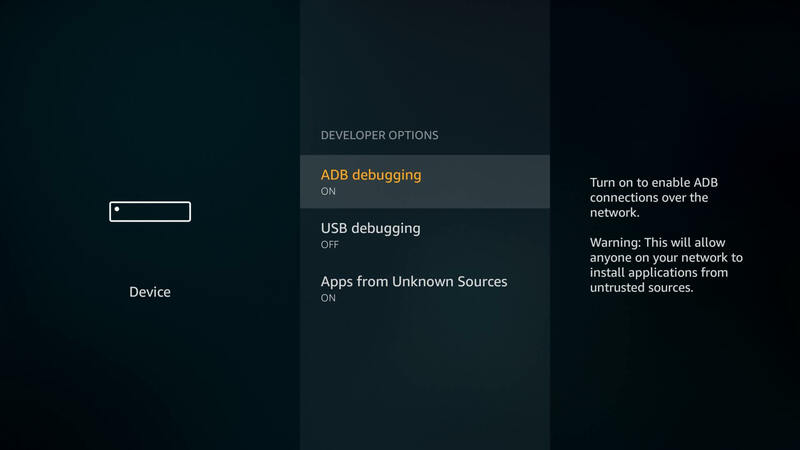 Enabling ADB Debugging allows you to use apps such adbLink to manage your Fire TV remotely, including sideloading apps, install Kodi, backup/restore Kodi, and more. Next, scroll down and enable Apps from Unknown Sources as shown in the image above. 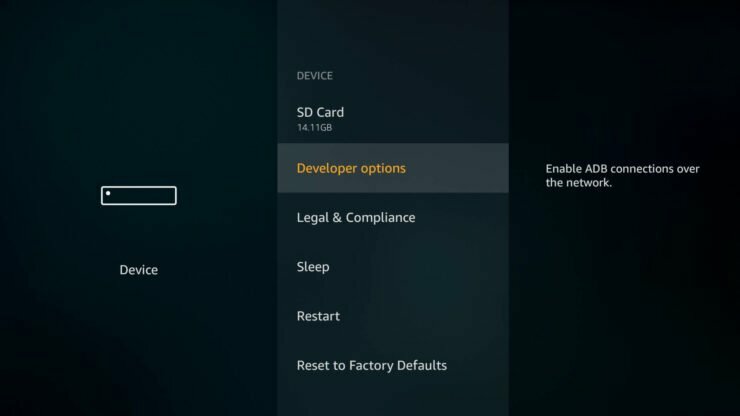 This will allow you to download APK files on to Fire TV or Stick and install them directly. For installing apps such Kodi and SPMC, this is much easier (if you have a good wireless keyboard and mouse) than sideloading through ADB because all you need is internet connection and AFTV device. Apps from Unknown Sources is the same as what is found on many Android Phones under Developer Options. When you enable it, you will be presented with a warning message as shown below. Installing malicious APK files can ruin your device. Therefore, ensure that you are only installing APK files known to be safe. Otherwise, that is all there is to unlocking Amazon Fire TV and preparing for sideloading. You are also all set for installing unofficial apps on Amazon Fire TV. 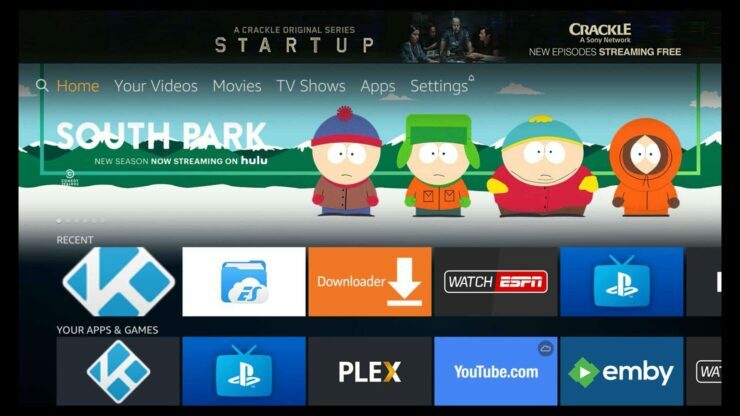 Now, check out our list of best Fire TV Apps and install them.